THIS MORNING THE Government is facing what is probably its biggest challenge in its short life over the rental crisis. 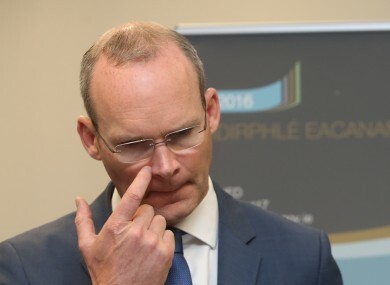 Since coming to power in May, Fine Gael has had to keep Fianna Fáil onside on many issues as part of the ‘confidence and supply’ arrangement the two old enemies struck over maintaining our unusual minority government. Now the two parties are at loggerheads over what approach to take towards alleviating the housing and rental crises. Housing was a keystone of the electoral promises of both parties before last February’s election. It remains to be seen whether or not a solution can be found to the current impasse. One thing seems certain however – if a compromise cannot be found soon, the government will be on tremendously shaky ground. A fresh election may not be a million miles away. But, should the government fall at the first housing hurdle, would you vote the same way again in another election? We’re asking: If the Government were to fall over rents, would you vote the same way again in another election? Email “Poll: If the Government falls over rents, would you vote the same way again in another election?”. Feedback on “Poll: If the Government falls over rents, would you vote the same way again in another election?”.